Mega Man - Proto Man 9"
Mega Man - Bass 10"
Mega Man - Rush 10"
Mega Man Battle Network - Proto Man 12"
Battle the nefarious Dr. Wily and his Robot Masters with four colorful Mega Man action figures. Choose between Mega Man in his traditional blue armor, Thunder Beam Mega Man, and Leaf Shield Mega Man which boasts an Atomic Fire Chase variant with a 1/6 rarity. You can also pick up Mega Mans nemesis, Dr. Wily, to reenact their iconic confrontations. Embodying courage, a passion for justice, and restraint when dealing with his enemies, Mega Man is a credit to his creators, Dr. Light and Capcom. 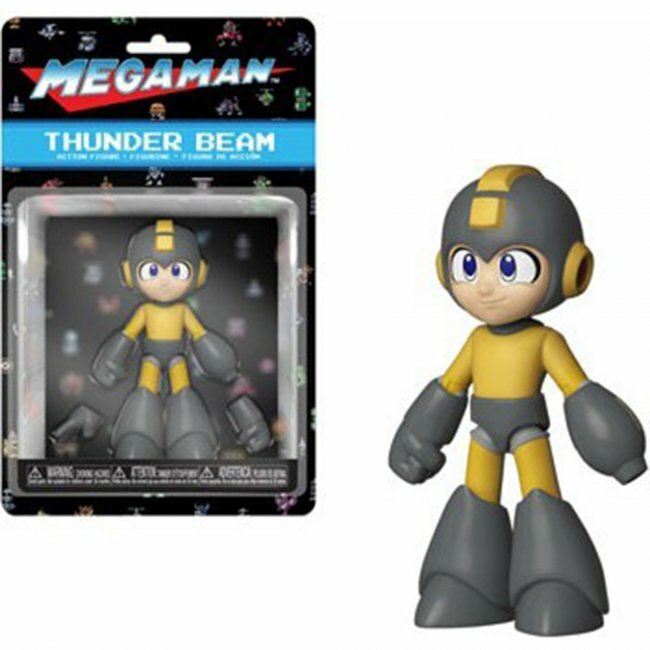 The Blue Bomber can serve as a selfless role model to your other figures.